Price - $25 USD (2500 Knobbies) for single series pass. $40 USD (5000 Knobbies) for both NA & EU series passes. *Anaheim 1 will be free, membership signups to follow. - Riders who have won a championship are not eligible for this class. - Riders in the top 15 in points in the 450 class during the current season are not allowed to drop into the 250 class. - Riders must declare a coast East or West and will remain their coast throughout the season. - This class is now considered an "Open" class. - Riders who have pointed out of the 250 Amateur class are eligible for this class. - Riders with an rF B license are eligible for this class. 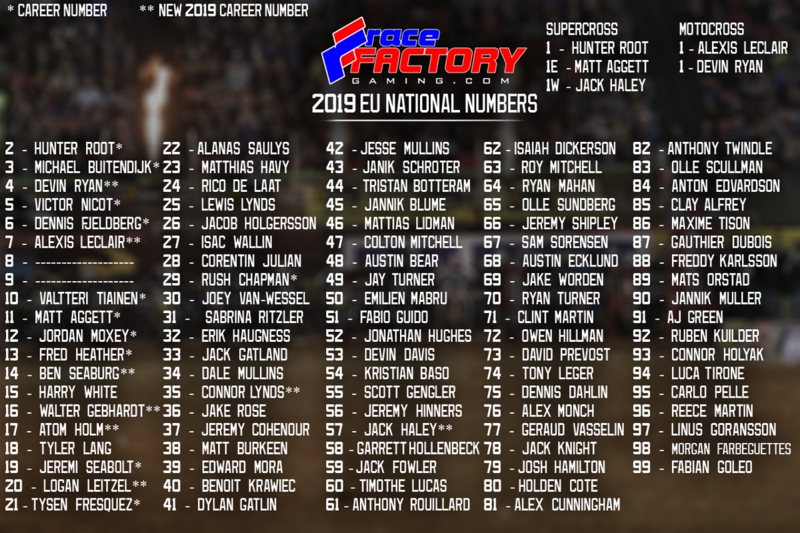 - Riders with over 150 Amateur SX points in the 250 class in a season are not eligible for this class. - 250 Amateur will now be combined, creating one 250 class. *Chapman and Mullins will not be competing in the 2019 Supercross season. Checkerz will be doing the East tracks. Last edited by Official rF Gaming on Wed Jan 30, 2019 4:28 pm, edited 5 times in total. *Please do not use PM system on MXS Forums for support. Use the @RaceFactoryGaming bot on discord for support! Are the times on the rF website accurate? I don't want to gamble on it. James_122 wrote: The old folks home should limit you fossils on how much internet time you get a day. Hopefully they mashed your turkey meat up enough so you can chew it. 808 wrote: Are the times on the rF website accurate? I don't want to gamble on it. No, still not fixed, go by times on the forum post for now. 250 riders just can ride one coast, we have to pay the 25 USD or just the half of it ? Fabio Guido wrote: 250 riders just can ride one coast, we have to pay the 25 USD or just the half of it ? I have a B license and can't sign up for either pro or am sx. UID 8505 could you fix it for me Jeremy? Thank you. I have a Pro license on EMF I would like to be able to race 450 west and 250 east, thanks. Ryan721 wrote: I have a B license and can't sign up for either pro or am sx. UID 8505 could you fix it for me Jeremy? Thank you. Qualifying is now open for EU Pro, EU Am, and NA Am. We are still working on the "Open Amateur" class. We hope to have it fixed by tomorrow night. Jeremy150 wrote: Qualifying is now open for EU Pro, EU Am, and NA Am. We are still working on the "Open Amateur" class. We hope to have it fixed by tomorrow night. 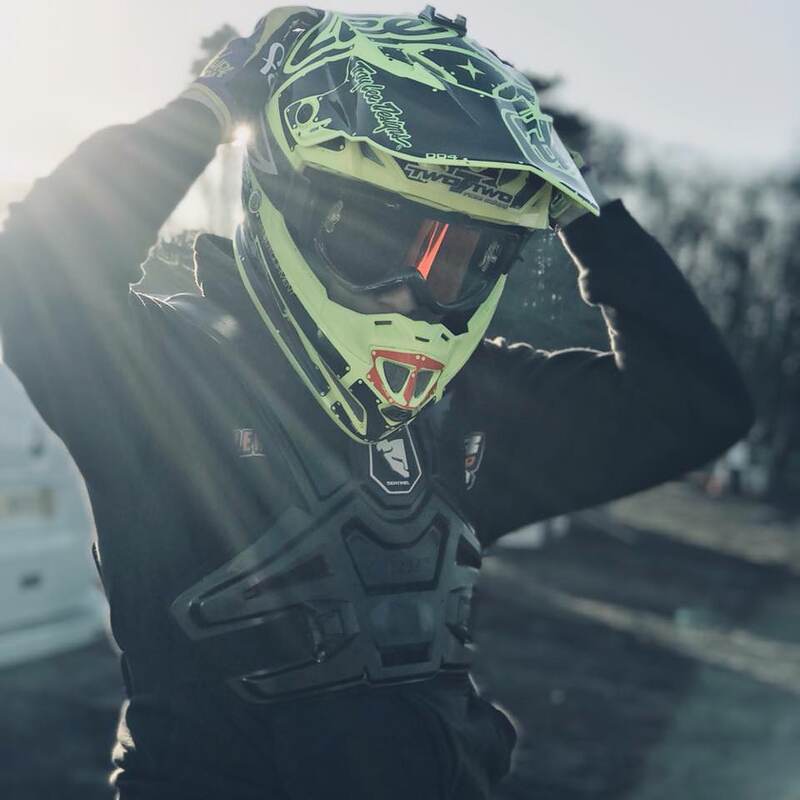 Re: THE OFFICIAL MXS SX SERIES: 2019 rF Supercross (Pro and Amateur) (EU) - ROUND 1 today!!!! what numbers do we use? why isnt novice quali times working? Open AMs class is now fixed. You may now sign up!